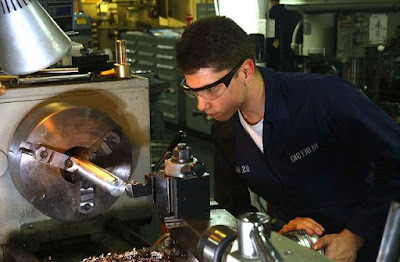 Machinists set up and operate a variety of machine tools to cut or grind metal, plastic or other materials to make or modify parts or products with precise dimensions. Machining and tooling inspectors inspect machined parts and tooling in order to maintain quality control standards. They are employed by machinery, equipment, motor vehicle, automotive parts, aircraft and other metal products manufacturing companies and by machine shops. May set up and program machine tools for use by machining tool operators. Wow great information about machine handling.Thanks a lot of information.